Gold ring with only HALF a crown on clear stamp? Half a crown ? G is 1855 or 1931? All stamps are very clear except for the crown. Ring does not show a lot of wear. 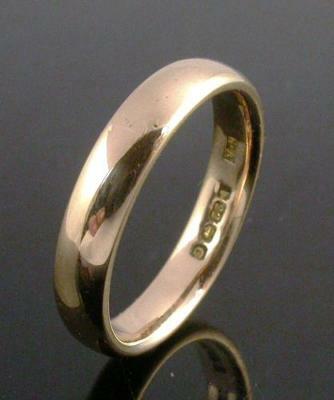 The ring is an unusual coppery shade of the usual buttery 22ct gold, not the old rose gold I have in my great grandmothers/great great aunts rings ca1905 to 1915, but a more intense buttery yellow gold with a slight copper tinge. The H.A on the ring appears more spaced than on the identification guide here for Aitkin Bros and the dot on the ring is in the middle not the bottom of the letters(http://www.silvercollection.it/englishsilvermarksXH2.html), and the background stamp of the makers mark is a different shape. That may be as the ring is gold not silver? H . A in well defined and edged rectangle (almost perfectly straight edges and 90 degree corners). The dot between H and A is aligned in middle of letter height not bottom.